A slice from 74th Annual Congress of the International Institute of Public Finance 2018, "The Impact of Public Policies on Labour Markets and Income Distribution", was held at Tampere City Hall, Finland, August 21 - 23, 2018. 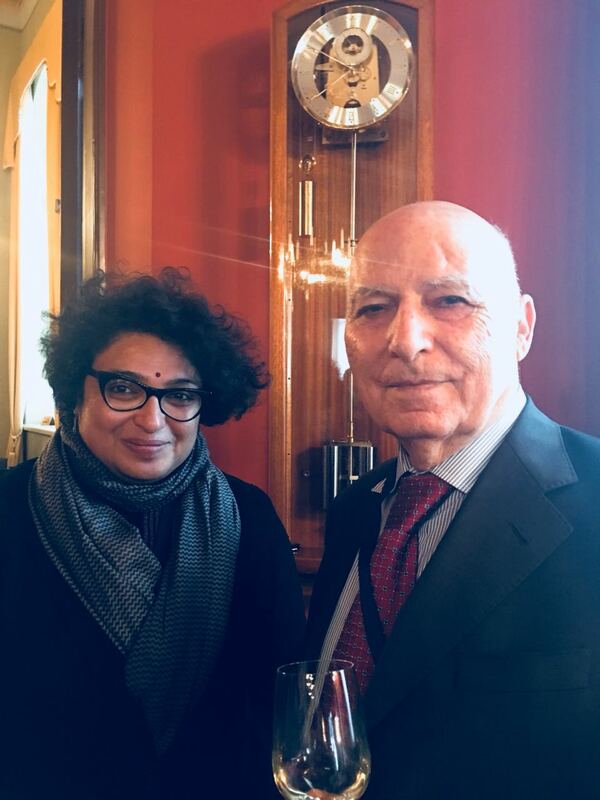 Dr. Lekha Chakraborty with Professor Vito Tanzi , former Executive Director of IMF Fiscal Affairs. The theme of the keynote speeches and panels were "The Impact of Public Policies on Labor Markets and Income Distribution".